Please To Meet You My Name is Rabies. Rabies here. Have you ever wondered what I am really all about? 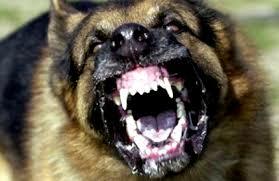 Most people just think that I make dogs become angry and foam from the mouth. Well that hardly does my name justice! Try this on for size; I am a viral disease which causes minor encephalitis, and can affect animal AND humans. How’s that! Granter, I tend to stick with warm blooded carnivores as my prey, but don’t think I can only get at dogs! Any animal on the planer is susceptible to my infection. My greatest power is not well known among the human population. I am uncurbable! “Till death do us part” as they say. Once I have found my way into a human’s system, I almost invariably kill. The only thing you can do to stop me is to prevent me. Vaccination is my worst enemy. If I am caught in time, vaccinations will sometimes lead to my demise instead of yours, but don’t count on it. I only generally jump from one host to the next through biting. “Why don’t we stop biting each other?” you ask? Because you can’t! I can make you crazy. I ensure my generation to continue by causing you to be a vicious animal. Not that I think about it, I am downright cruel! But not that I have scared you, I must come clean. Humans are not my favorite friends. It’s hard to make you crazy. For the most part, if you are bitten by a rabid animal, you will die unless treated quickly, and that is where it stops. Occasionally I hop to another person through kisses, but for the most part, I tend to stay out of your way. But none the less, be careful! ​Halitosis needs to be properly dealt with in order to protect and promote your dog's health and well-being. If your dog does have bad breath, there are other symptoms to watch out for as well, which can be indicative of something more serious. You might think that such a foul habit points to a nutritional deficiency or that it means Fido's not getting enough to eat, but actually poop-eating (a.k.a. copraphagia) is a common pastime among dogs. We all know that probiotics help pets with diarrhea or chronic small intestinal "bad" bacterial overgrowth, but what is this "benefit upon host health" prebiotics confer?